The 13-car TA2 field within the Skye Sands Combined Sedans continued to impress the crowd at the Bathurst 12 Hour following race two held on Friday morning, with a new fastest lap and some great racing through the pack. 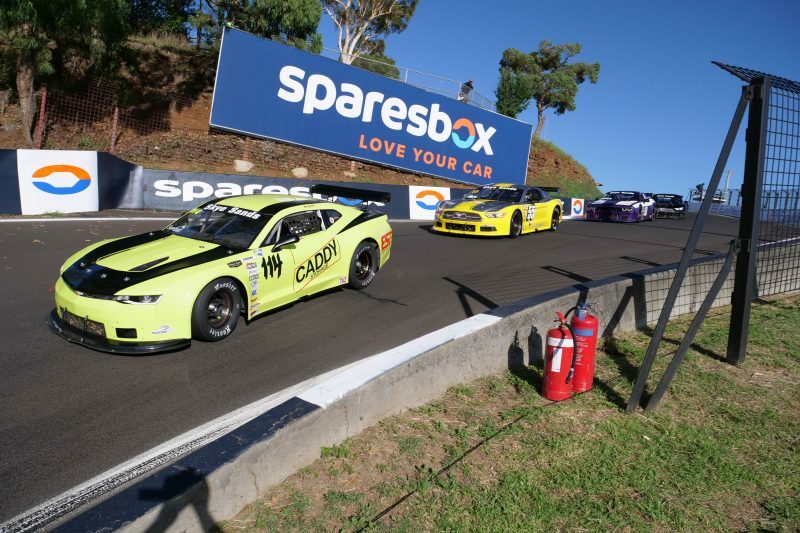 A clean start amongst the pack saw all but one TA2 car make the grid, with Sunshine Coast racer Greg Willis’ Chevrolet Camaro not making the grid due to a fuel pump issue which has been rectified for race three. George Miedecke continued to set the pace in the Miedecke Motorsport Dodge Challenger. Starting second, the Port Macquarie racer was passed by Tony Groves’ MARC Mazda 3 early in the race. Miedecke lowered his previous benchmark to set a new fastest lap time for a TA2 car around Mount Panorama with a 2:15.7. Starting fourth, Texan Gar Robinson got to within a car-length of Miedecke mid-race, before slipping back to fifth, ahead of Hugh McAlister who battles alternator issues late in the race to finish sixth. Russell Wright climbed through the pack from 20th to 9th in the RoadBees Transport Mustang, with Ian McAlister following him to ensure five TA2 cars featured in the top ten. Michael Kulig recovered from a spin at Murray’s Corner on the final lap to finish 12th ahead of Peter Robinson and Cameron Sendall in 13th and 14th respectively, after the pair swapped positions multiple times in the race. After an early ace battle with Rusty French, Anthony Tenkate finished where he started in 17th, as French spun at turn one late in the race after dropping the right side of the car off the track in the braking zone to finish in the gravel trap. Don Dimitriadis and Mark Crutcher both improved with solid races to finish 24th and 32nd respectively.